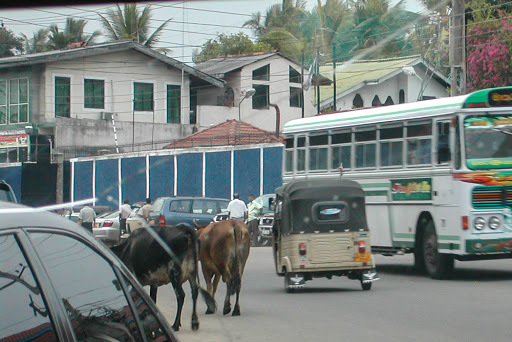 Cows are everywhere in Sri Lanka. If you've read more than a few blog posts here, you might know this already. Cows wander at will. They wander empty lots where they can graze on lovely vegetation. They wander down little neighborhood roads. And they trot through rush hour traffic.